The two countries are expected to sign deals on the economy, defense, infrastructure and transport as part of the effort to forge closer economic cooperation. The two foreign ministries will sign a memorandum to expedite North Macedonia’s accession course to the European Union. Memorandums will also be signed by the two countries’ civil aviation authorities and energy companies – Greece’s gas network operator (DESFA) and North Macedonia’s energy resources utilization corporation MER. Moreover, a deal will be inked to open a new border crossing in the Promachoi-Majden area. 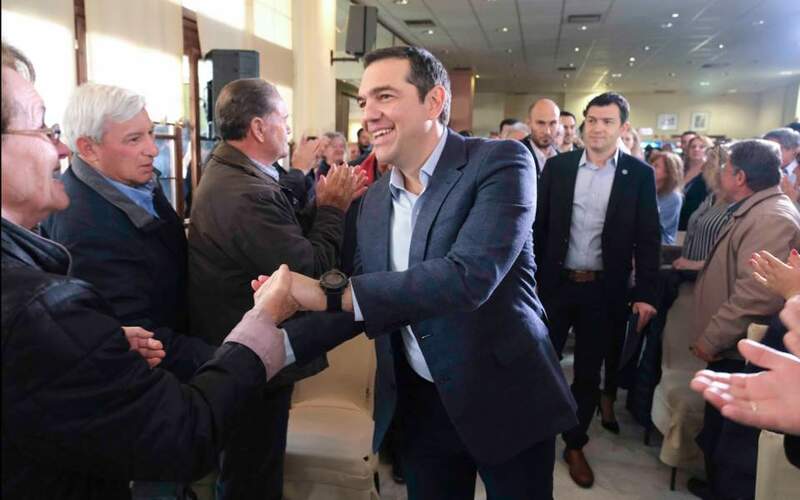 On his first official visit to Skopje since the Balkan country changed its name, Tsipras and his counterpart Zoran Zaev will convene the first cooperation council to explore ways of building partnerships in a wide range of fields. Tsipras will not be the only one seeking to score political points at home, as Zaev is also banking on the Greek PM’s visit enhancing the name deal’s positives – three weeks before presidential elections in North Macedonia, which the accord’s proponents hope will lead to the election of a new head of state to replace the incumbent Gjorge Ivanov, who is staunchly opposed to the Prespes accord. In an interview with the Skopje-based MIA news agency Monday, Tsipras defended his government’s determination to reach an agreement with Skopje. “If my government had been afraid of the political price, it would not have taken the country out of the crisis and the memoranda, found a solution to the [social] insurance system, managed the refugee crisis, solved the name issue, promoted the required dialogue with Turkey despite the difficulties involved, and implement radical changes in the field of human rights,” he was quoted as saying by MIA.